In recent years, due to the aforementioned project update post, I’ve gotten a few enquiries from people looking for such a list. Contact the Registrar of Societies. Filter with ‘ROS’ or ‘society’ to find ROS-specific downloadable forms. Otherwise, if you’re still here, I can direct to you to my own project which I last updated in 2011: The intuitively-named ‘dir.proj’, or later ‘Clubs BN’. Those of you who only want a list of registered societies should contact the ROS as above, instead of relying on my lists. Back to the project: I’ve dragged it through many forms and digital forms. It’s been a list of bookmarks. It’s been a wiki. In its latest reincarnation, it’s a database. I’ve kinda never given up on it, but I also never quite gave myself time to properly work on it. Frankly, that’s why it’s such a mess. Bookmarks: My list of links, compiled on Pinboard. Database: My database, based on the above Pinboard list, undergoing restructuring. Still very much a ‘Work In Progress’. More about the two compilations below. These links are pretty old, circa 2009-2011. Some of the tags have been updated, but the list is not meant to be functional in current times, as there are a lot of dead links. What can you use it for, then? 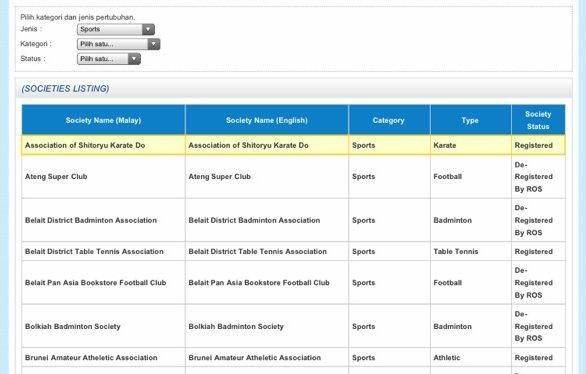 If you are just looking for names of specific clubs or associations, and have some keywords available, the list may help. Go to the list of tags on the right side of the screen. Hover over one of the small ‘plus’ symbols on the right, and click it. In this example below, the blue icon shows that I’m about to filter with the ‘belait’ tag. To filter by tag, hover over one of the small ‘plus’ symbols and click it. In this example, I’m going to filter by the ‘belait’ tag. To export the list: Instructions coming soon! Again, warning, this database is undergoing a restructuring effort. 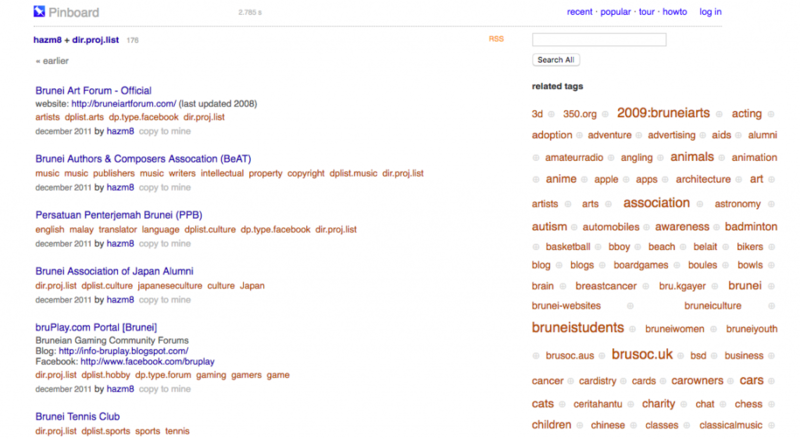 The data sits between my 2011 tagging sensibilities and more recent tags, and may be confusing. This is intended to be a crowd-sourced project. Submissions are welcome – a complete database would not be possible without you, reader! To export the database: Instructions coming soon!